..... and its bugs. I've always been a big Tyranid fan, since they came out. 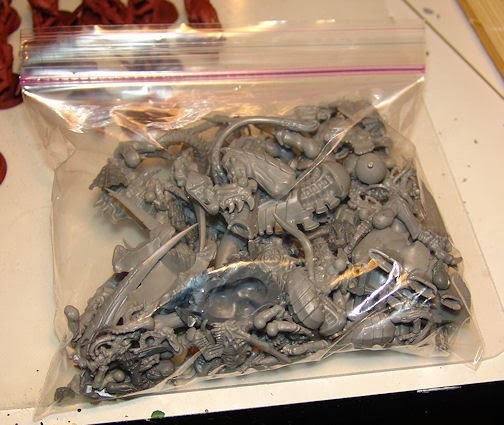 I've bought and sold 4 tyranid armies I like them so much. Wait a minute..... is that bad? 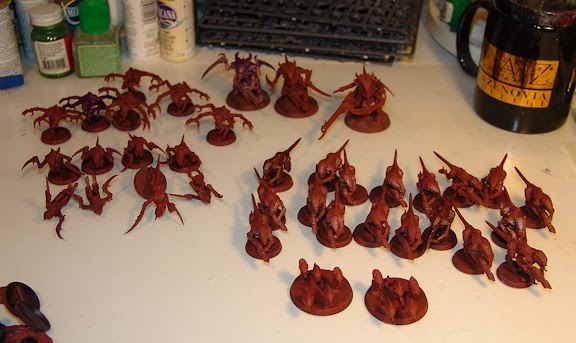 Though my favorite all time things were my Hive Fleet for Battle Fleet Gothic and my Epic Tyranid army with Mycenic spores made from walnut shells. So.. after much thought... and my two metal Carnifexes staring back at me, I decided one more foray into the Hive Fleets was needed. Are you a bandwagon jumper if you've been on that wagon alot before? (slight rant warning ahead) I have the new book and being a rebel (going against the intewebs grain).. I actually like the new book Why? B-but the interwebs say its not competetive!?! I don't compete and I love bugs.. so I don't care about that, frankly... but, in my opinion, the renewed importance on synapse recaptures the OLD,OLD bug vibe. I could be wrong, but I get the feeling GW is watching all the beardy, cheesy, win-at all costs, rule abusing tricks on the interwebs and they are applying the "nerf bat" liberally to each new book..... at least until the "cheaters" find ways to exploit the rules and come up with the latest and greatest "ONLY" viable build...blah,blah,blah,blah.... seems people have forgotten how to play the game for fun. Or maybe I'm just an old fart. Ooooooo I just ranted a bit....sorry, I try not to do that... back to hobby stuff. 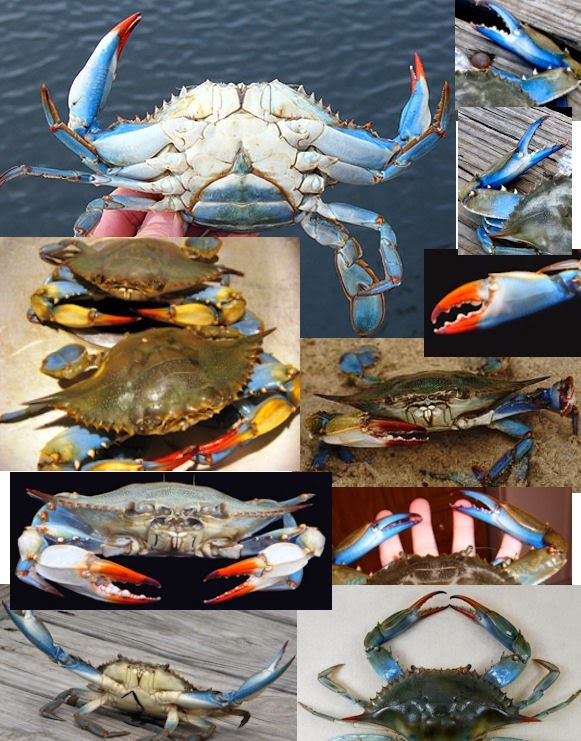 For what its worth, these kinds of reference collages are real easy to throw together. Google images, some cropping, cutting and pasting in Paint Shop Pro and then print it out. They work great for anything you might be doing... its a highly recommendable asset for your painting and modeling. Its time the old girl was finished. I've got more hobby time coming up so the posts shouldn't be so far in between...well, that and I managed to injure BOTH of my hands, which are pretty well healed now - finally. That's all for now. More to come, soon. 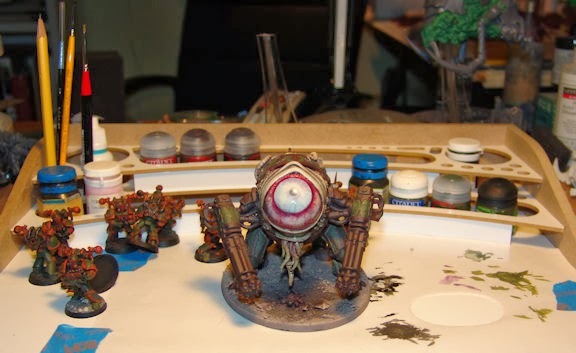 From the Paint Station: Templars of DOOooom! The greens on the Templar squad have begun. Fittingly, I did the champion first. I mixed GW Gretchin Green and GW Castellan Green in about a 50/50 mix, then added more Gretchin Green in downward strokes, with more and more highlights. Then, a wash of the ubiquitous Althonian Camoshade. I used some Druchii Purple to deepen some of the recesses, but my own Dark Olive (brown/dark green/chesnut) mix of the older GW inks was a bit easier, for the 30 odd marines that remain. Aside from spiffing up the base, he's ready for the tabletop. 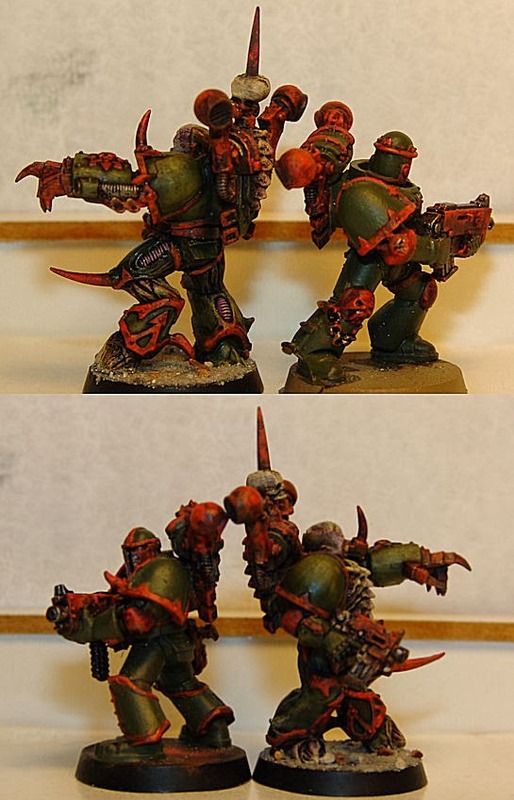 Here's a comparison with the "raw" Castellan Green base on the other marines. Next post should be the rest of the squad and the Templar of DOOooom Icons. After that, I hope to move on to getting the Sentinals finished as well as Ms Charlotte. 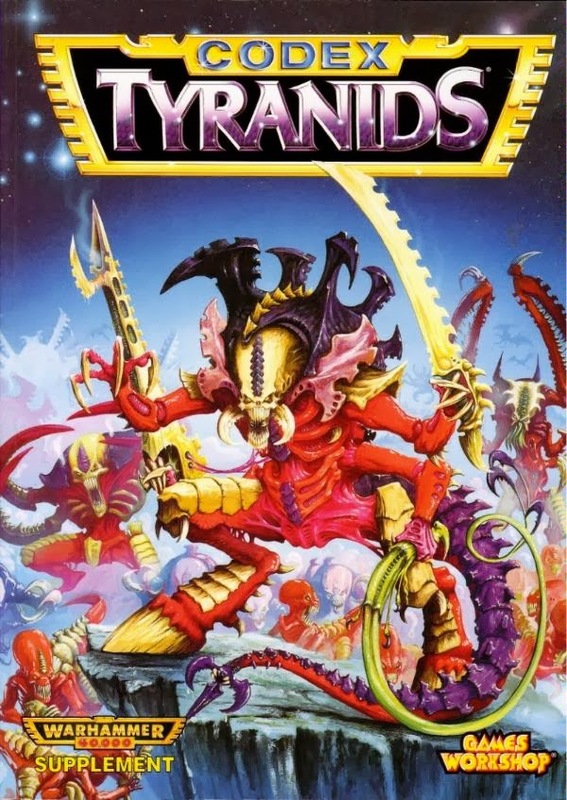 Also.... the Tyranids are coming!!! !